I get it, you’re eloping. 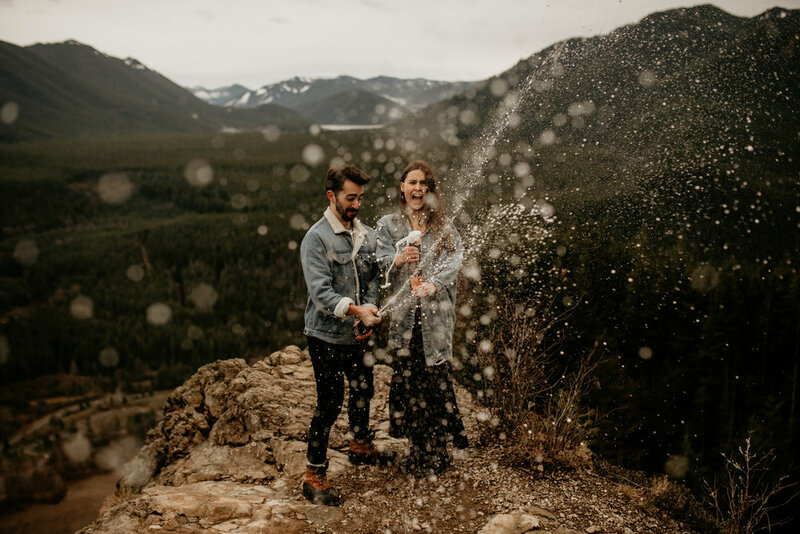 You’re not sending out Save The Dates or wedding invites, so WHY do you need engagement photos? Well I think that engagement photos are IMPORTANT. I think that these photos SHOULDN’T be skipped, and that this season of life, ENGAGEMENT, should be celebrated and that it should be DOCUMENTED. This period of life is probably one of the shortest in your relationship, but it is precious. Its the planning season, the preparing season, no matter what kind of wedding that you are planning or what kind of life you are preparing for together. Lots of couples don’t get professional photos taken together before their wedding, but I think that you are missing out on photos that look you in REAL LIFE. Not all dolled up for your wedding, but you guys on a normal day, doing the things you like to do. Hiking, playing games, walking your doggo. The real life moments that happen everyday that DESERVE to be remembered and celebrated! 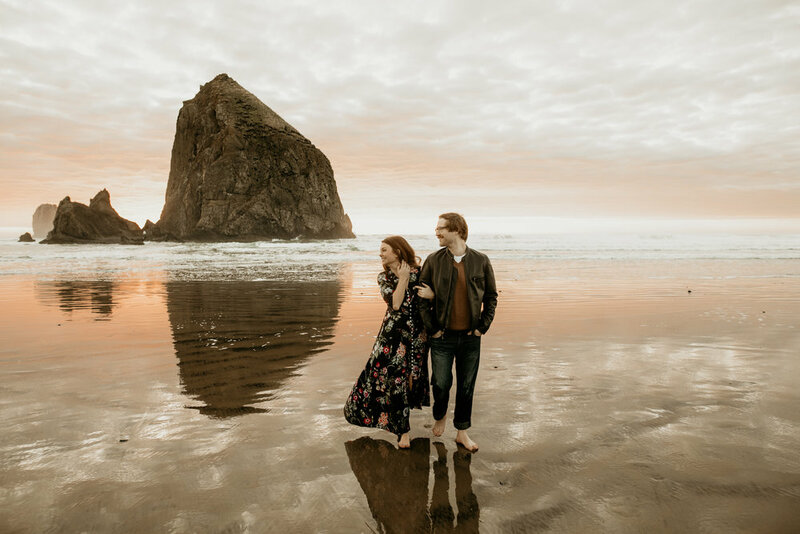 Engagement photos are an opportunity to document an important place or time in your relationship! Like the couple above who have their photos taken at Sólheimasandur, the first hike that they ever went on together! I always suggest that the location that you choose to take your engagement photos at be of significance. Girl, you can totally take some pretty photos at a cute as park, but they’re going to mean SO MUCH MORE to you if they were taken at a place that means something to you. Like the place you first met. Your first date location. The first vacation that you went on together. OR even a place that you always talked about going to together! Another thing that I suggest doing is having your engagement photos taken in your home. The building that you two have turned into a home, the place that you guys feel the most comfortable, and the environment that is the most familiar to you. Its a lot easy to get intimate (I hate that word!) with each other when you’re in a location that you are comfortable with! I love getting snuggly photos of you guys cuddling on the couch or enjoying your morning coffee together and doing things that you naturally do all the time. Playing with your dogs, or petting your cats, or making food together. Leave the winter coats in the closet and let’s hang out inside! Go on a trip together! Engagement photos can also be a great way to document you guys doing something that you love: Travel. (I guess I just assumed that you love travel. If you don’t, I’m sorry. Do your engagement photos in your house lol) Go on a trip. It can be a day trip, a weekend trip or a big trip to a place that you’ve always dreamed of going! Look up local photographers in the area (or invite yo girl to come along!) and schedule a photo sesh along the way! Its such a fun thing to have memories of an amazing trip and some amazing photos to remember it by! So there are my thoughts. Engagement photos are important. Documenting life is important. Whether through grainy polaroids taken on vacation or professional photos taken with intention, photos are such a great way to remember the best moments in life. That’s why I think that you should have engagement photos taken even though you’re eloping and don’t need the pictures for the traditional reasons. Book your engagement photos with me now!